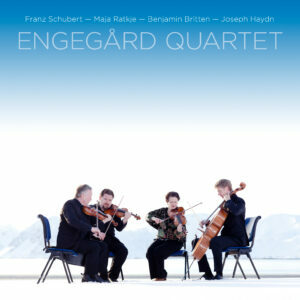 2L: “Perhaps the greatest single characteristic of Franz Schubert’s Rosamunde Quartet (1823) is the elusive, longing and perhaps even tragically unconsummated atmosphere that pervades the entire work. Only in the Andante are we really allowed to relax in its peaceful serenity. It is a tribute to Benjamin Britten’s inherent “joie de vivre” that optimism and love triumph in his Second String Quartet (1945), composed just after the 2nd World War. The quartet reaches its emotional climax in the magnificent Chacony, a passacaglia with no less than 21 variations, inspired by Henry Purcell. Britten’s 2nd string quartet received its premiere on the 21st November 1945, 250 years to the day after Henry Purcell’s death. This entry was posted in Blog, Compilations, Recorded compositions. Bookmark the permalink.